The average recycling rate for aluminium closures has reached 40% in Europe, and as high as 80% in Germany, according to the European Aluminium Foil Association. 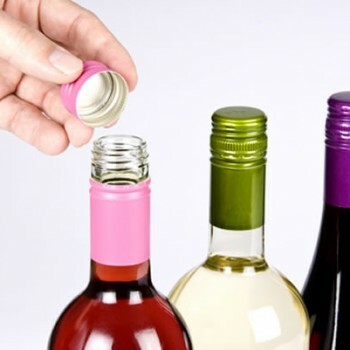 Data released yesterday showed that screwcaps are widely recycled in Europe, although the differences in recycling rates vary widely, with Germany disposing of less than 20% of all aluminium closures used, while the UK discards as much as 60%, and some countries around 80%. Highlighting the importance of recycling this material, the association stressed that re-using aluminium requires 95% less energy than would be used in its primary production. The information was released as part of a Europe-wide campaign to raise awareness of the benefits aluminium closures. As previously reported by db, the new campaign is dubbed “Aluminium Closures – Turn 360˚” and will run throughout 2013, supported by a multilingual website, www.aluminium-closures.org. Despite their small size, aluminium closures collected together with mixed packaging are easily separated. They can then pass into an aluminium recycling stream for re-melting to be used again for other valuable aluminium products. The recycling rates were calculated on the basis of publicly available national aluminium recycling rates and market data from member companies of the European Aluminium Foil Association (EAFA) . Such data shows the consi­derable extent to which consumption volumes and recycling rates vary from one country to another. According to the EAFA, recycling rates for closures vary from over 80% in Germany to about 40-50% in countries such as the UK and Italy, and 20-30% in those nations with a small market share for screwcaps. This article reminds me of those old TV advertisements in the 1960s when doctors testified that smoking was good for your health. Is this disguised advertorial content or objective journalism? Does the aluminium lobby have any more credibility than the tobacco lobby? I appear to have received the same AMCOR (a stelvin screw cap manufacturer) press release as Patrick did. And I find his article very worrying as it appears to have taken everything presented in the PR blurb as fact and then passed it on as if a journalist had done some analysis and specifically checked to see if the purported ‘facts’ were verifiable or just made up. From the release I have, it also appears as if some (if not most?) of Patrick’s text has simply re-jigged, inverted, conflated and ‘cut and pasted’ text directly from this Stelvin manufacturer’s PR blurb as if it was his own content. Here is an example of Patrick’s journalistic technique. So Patrick swaps are to were, spells out EAFA in full, deletes an a and an l, and adds of the. Presto-chango a quotable quote suddenly becomes his own analysis. A simple quotation mark would have avoided showing us he had done no analysis and simply parroted the PR release as if true. It is possible to deconstruct the whole article line for line and show similar patterns of direct ‘borrowing’ from AMCOR’s public relations release. This aside, the more worrying issue is what appears to be little, if any, attempt to determine if there is any truth within the content of the above sentence or, for that matter, the rest of the PR blurb that the author borrows so heavily from. The only stats I’ve seen generated on SC recycling figures was done in the fanatically eco state of Oregon a few years back, 2008-2010ish? There, green issues are taken very seriously, usually well before others do, and as much if not much more so than they are in Germany. Oregon’s major cities have had curbside recycling collection since the 1970s and statewide government driven bottle/aluminum recycling programs since the 1960s. There they found SC recycling rates were under 5%, if I recall correctly, because the collection/sorting grates were too wide to capture SC. Again, if I remember correctly, hand sorters couldn’t keep up, so most SCs ended up in landfill. The only sure solution to recycling SCs were to put them inside coke and beer cans. In ’Clean & Green’ New Zealand, where well over 90% of wines are SCed, I’d be very shocked if the actual recycling rates reached those in Oregon. Where I live in Wellington, plastics and metals are collected together in bins with paper, then separated later by hand, with all the missed little stuff going back into landfill. SCs are more likely to be amongst the littlest stuff than not. Ironically, all collected aluminum is sent from Wellington to China for recycling, Auckland sends all of its aluminium to Australia for processing. I wonder if raw bauxite gets imported to NZ’s own aluminium smelter to produce local SC or is the recycled stuff bought back off the Chinese? But think about it, how many people screw a cap back on to an empty bottle? It’s hard to believe that most SCs don’t end up in the rubbish bag headed for the landfill. A quick ask around of friends and family suggests that is the actual case. My neighbor’ bin is full of squashed plastic cola bottles, but not one aluminium cap. Same with the bin full of screw cap bottles, not one cap on any of them. Given all this, one can’t help but be a little skeptical about the high recycling rates AMCOR/ EAFA have generated. The only way to verify the real rate of SCs being recycled versus those dumped in landfills with the rest of trash would be to do comparative studies from the same households on the same day. What exactly goes in rubbish bags and what goes in recycling bins? Preferably over many days, and over many cities in each of the countries listed above to generate accurate stats. Most importantly, data should not be cherry picked where the highest figures are most likely to be found. All this is easy enough to have been done, but was it? It’s exactly the question Patrick should have asked. The EAFA purposefully don’t tell us if that was done. My guess from their carefully shaded wording is that it wasn’t. Instead the PR release tells us calculations were based on some magical cross referencing between “publicly available national aluminium recycling rates” which aren’t specified anywhere in the PR blurb—so we can’t check them—and the SC manufacturer’s own (unspecified) private marketing data. Pretty vague stuff isn’t it? I don’t see any specific study going on here, do you? But hey, we can trust them, it’s not like they are trying to sell us anything or distort public perception on purpose. The author seems to have absolutely trusted their figures. The stats here smell fishy for several other reasons. Firstly, they are too rounded off. 80%, 40%, 20-30%. Science tends to be very specific, very detailed, and especially statisticians who apply scientific method to their data analysis. Secondly, I just don’t believe the recycling centres in Brighton, Croydon, Dumfries and Harrogate run the same equipment or methods for collection and separation of recycling materials. Or have similar outcomes for that matter. Maybe the Germans are that thorough and identical, but I doubt that too. And given the current financial crisis, are you telling me that Southern European governments can provide accurate recycling data, let alone specifics related to screw caps? Greece recycles 20% of its screwcaps? The trouble here is that garbage data like this, and I don’t mean the type that decomposes in a non-toxic way, tends to enter the public realm as absolute truth unless challenged by aggressive journalism intent on catching out lies and distortion. It festers there passing on to other lazy or collusive wine writers who will pick this up and assume (or desperately hope) it must be accurate. Endlessly passed it on as if true, eventually it all becomes ‘accepted’ fact. When, in actual fact, there seems to have been few, if any, identifiable facts put forward to back it up in the first place. I can think of dozens of Timbo and Bimbo wine writers down in Australasia, and elsewhere, happily regurgitating these amazing eco-friendly stats through their columns in the near future. At least when Amorim and the cork industry drummed up their own recycling and CO2 data, they had the smarts to go with an independent auditor like Price-Waterhouse that used ISO and other known data collection methods. Because it was all carefully documented it could be checked and impeached or confirmed by anyone who wanted to see how true it was. I could be wrong about all this. Perhaps AMCOR have some rock solid, highly accurate data they are drawing their stats from that were objectively derived and not at all shaded by their PR team. But wasn’t all this The Drink’s Business and Patrick’s job to find out for us? From what I see here this article simply parroted AMCOR’s unsubstantiated stats creating a simple case of garbage in and garbage out.